The first time in my life I sought out songs that meant something to me. 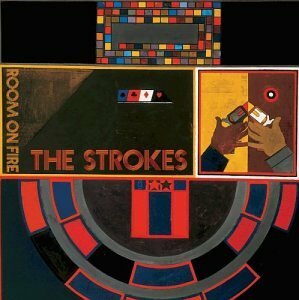 I bought The Strokes’ Room On Fire in 2004 mostly because I loved the cover art. I’d heard “Reptilia” a few times, and each time it blew my mind. It sounded so new, so unlike anything on the radio, and it opened up a world of alt and garage rock that never found its way to Montana. I had to go and find it. That album actually came out in 2003, but ’04 was the first year I actively cared about music. I bought so many albums that year looking for that same kind of escape The Strokes gave me. I wanted to live inside the machine three minutes at a time. I was a teenager, dammit, and I was cool and different and intellectually sophisticated. Generously lazy extended family members kept me waistdeep in iTunes gift cards, so I kept buying albums. And what a year for music.